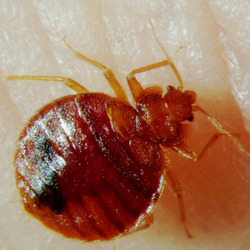 If you are a land lord or rent out HMO's or maybe run a BnB Control Solutions can tailor your current pest control to include Bedbug inspections to all your rooms over the course of a year we have a complete control program and price list so you are in control of your budget, with most companies charging over £1000.00 for a small one off heat treatment and pesticide spray the costs can start to rocket. We think its time for property owners to be more pro active and take control before they find an issue as this is where the costs start to spiral out of control. Join us in a more pro active approach for a small cost and save hundreds of pounds in the long run. 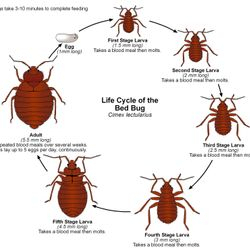 call us now on 01473 402654 and ask about our complete Bedbug Monitor Program..
"Fluorescence is an optical phenomenon (photon bounce) wherein a material emits light in response to some external stimulus. Normally, the fluorescent light that is emitted is of a specific colour or group of colours that is released when the material is bombarded with light in some other part of the colour spectrum." WOW! 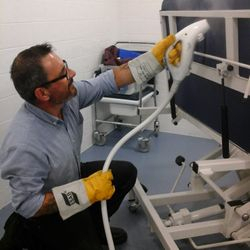 Did you understand all of that we had to read a couple of papers on this to understand how and what we are looking for and in short using this type of technology we can find droppings, caste skins, and eggs of Bed bugs a lot easier and quicker then most can. Control Solutions can offer a full program to inspect your rooms on a rolling six week program if you are a Hotel Owner and the costs are less then you think.